AVTEQ manufactures a wide range of AV products including mobile carts, fixed stands, and executive conference room and technology furniture. AVTEQ's new TeamSpace collaboration center is compact videoconferencing furniture designed for cubicle and small office spaces, making office-to-office and team-to-team collaboration easier than ever. 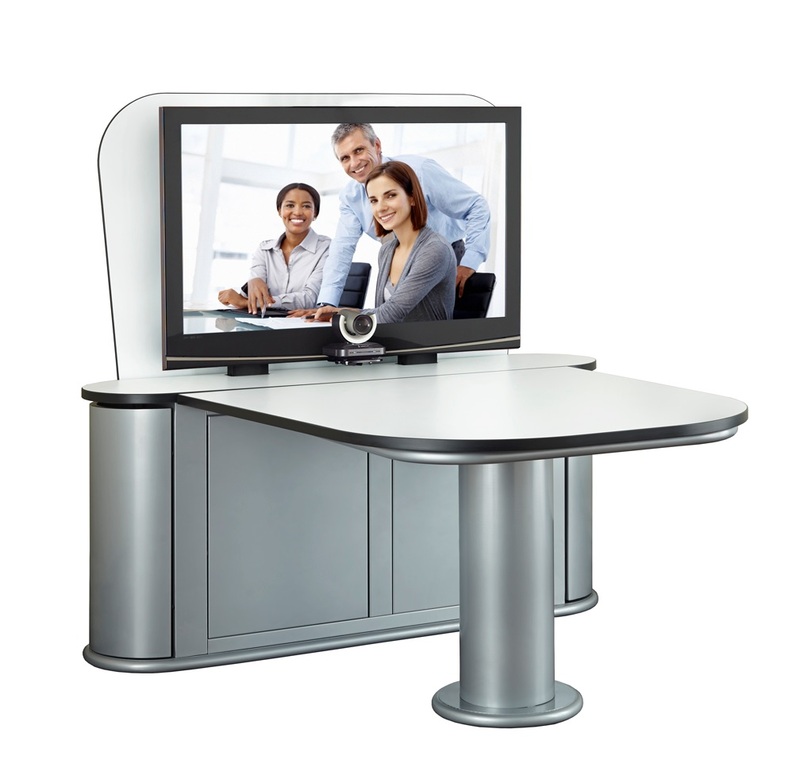 It combines a worktable, screen mounting system, equipment storage and videoconferencing camera shelf into one unit. AVTEQ currently builds TeamSpace to standard desktop height (29”), but will be releasing a Café height (39”) version soon. All units come well appointed with features like 20 total rack units of equipment storage, adjustable videoconferencing camera shelf, and plenty of ventilation to maximize airflow.